What does this bar tell you? What is it for? That is a multi-measure rest. 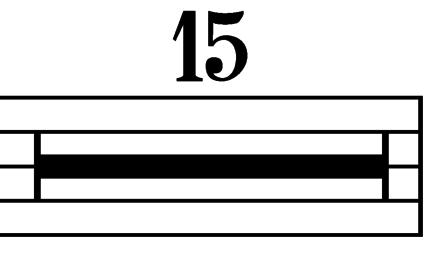 The numeral 15 above it indicates that it is equivalent to writing out fifteen bars of full-measure rests. This is done to save space, for example in orchestral parts. What does this horizontal dotted line mean? What's this horizontal bar notation in liturgy called?